Before you head to the gym, you need to make sure you’ve got enough fuel in the tank to get the job done. With the right pre-workout snack recipes in your culinary arsenal, you can energize your body to get the best possible results from your training session. Say goodbye to no motivation and grinding, sluggish workouts – nailing your pre-workout nutrition is the key to success. When it comes to pre-workout snack recipes there are a few essential requirements we need from them. Aside from being delicious, they should supply a good portion of carbohydrates to give your body a powerful energy kick. They should also ideally contain some protein to heighten muscle growth and maximize gains. Luckily, we’ve gathered a selection of super tasty, easy-to-prepare snacks that will help you hit your nutritional needs and power up your workouts. 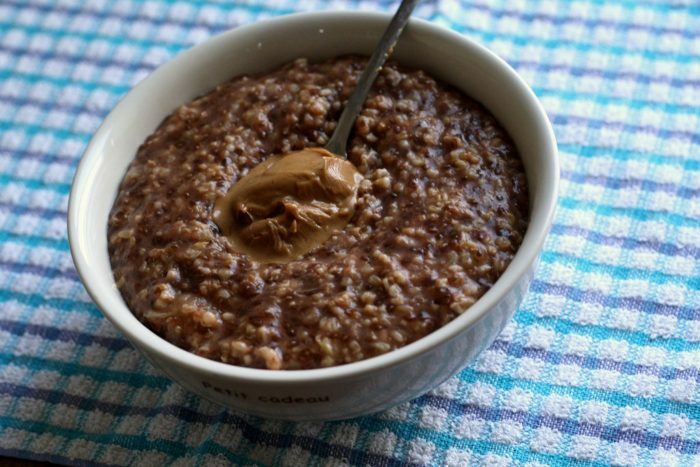 Whether you’re waking up for a morning session, or plan to go after work, whipping up a delicious bowl of protein oats (or proats) takes less than five minutes. Not only does it contain a good healthy serving of muscle building amino acids, oats are a form of slow release carbohydrate that give you a steady stream of energy, rather than a spike. Try out this pre-workout snack around 60 minutes before you head to the gym to feel energized and strong for the session ahead. If you’re looking for something quick, easy and delicious, then call off the search. 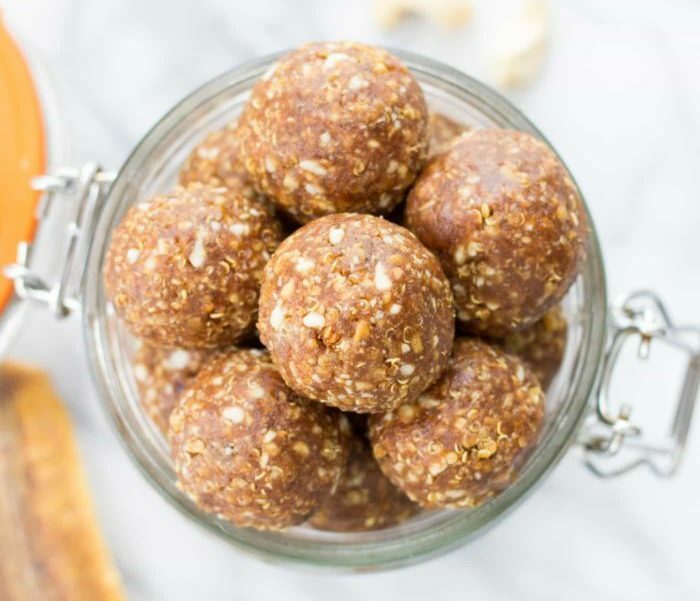 A peanut butter energy ball is the perfect way to prep your body for a challenging workout. 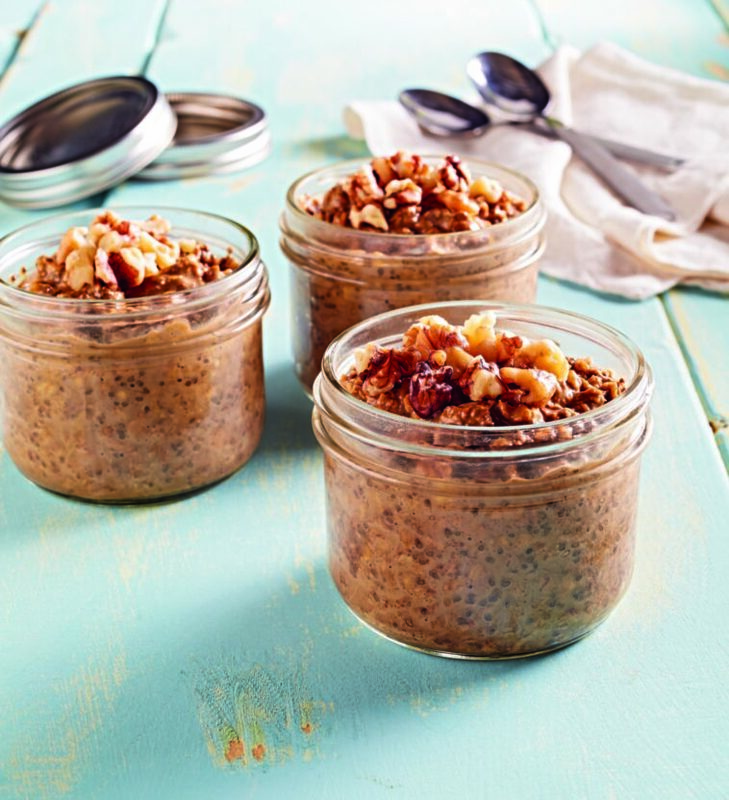 The quinoa base of this pre-workout snack gives you a good portion of protein and nutrients, while the fats in the peanut butter will fill you up and give you a good energy boost. What’s more, you can meal prep a batch of these in one go, so they’re ready to be eaten whenever you need them. Enjoy 3-4 of these before a training session to feel the energizing benefits of these powerful peanut butter balls. With this formula you should be able to make 20 balls. Preparation is the key to success, and making your pre-workout snack the night before is the perfect way to make sure you get the most out of a training session, while taking the pressure off your busy schedule. They don’t take long to prep and, with this pre-workout snack recipe, you’ll benefit from all the right nutrients need to energize your training session. If you prefer a savory snack ahead of your workout, then a bacon egg muffin is the way to go. 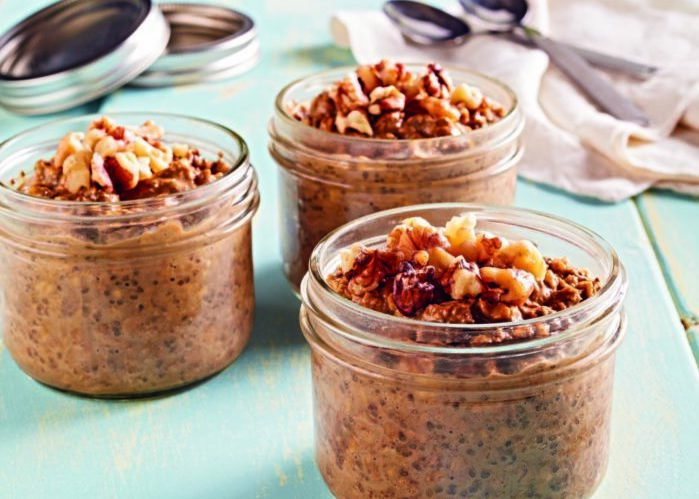 They’re simple to make in bulk and come in small bite-sized portions, so you can tuck in to a delicious treat right before your workout. 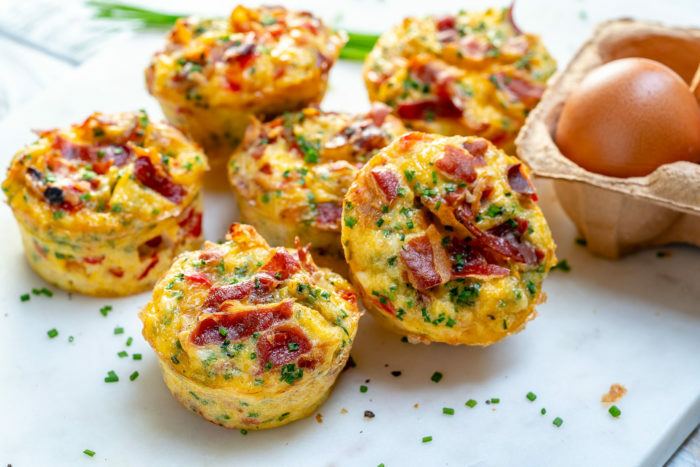 Not only are these savory muffins bursting with flavor, they’re packed full of protein and nutrients that will help you up your game in the gym. Check it out. You’ll get six muffins out of this mix, which equates to three servings. This snack is pure, delicious simplicity, but it’s enough to help you power through a tough workout. 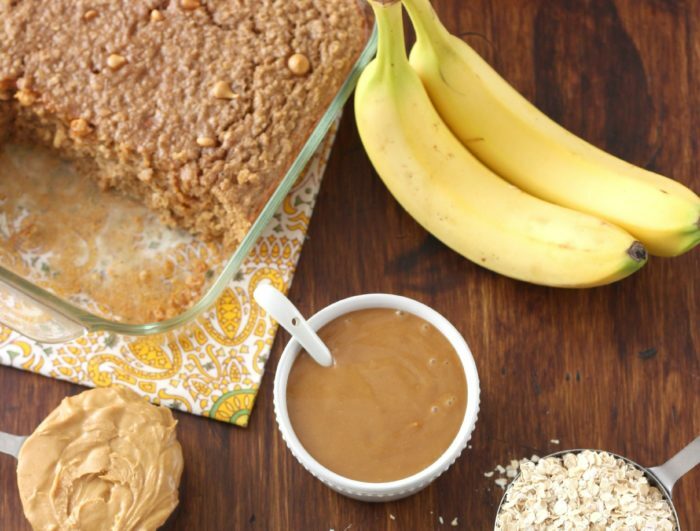 Whether you don’t have time to meal prep, or your cupboards are running on low, all you need is a banana and some peanut butter to power up your session. Because it’s so easy and accessible, this versatile snack is perfect for those moments you’re in need of a boost. Whether that’s a mid-morning pick-me-up or an afternoon energizer, you can’t go wrong with this pre-workout snack recipe. Never feel sluggish or unmotivated in the gym again and get the best out of every workout with these delicious pre-workout snack recipes. They’re carefully designed to deliver essential nutrients to your body, so you’ve got the energy you need to power through, and the building blocks you need to grow. Try them out before your next workout and maximize your workout performance.